Congressman Keith Ellison renews his call for a financial transactions tax—this time, with a grassroots movement behind him. America is not broke, despite what advocates for austerity would have us believe. This is a very wealthy country. Unfortunately, transfers of that wealth are not taxed in the same way as the work of American nurses, carpenters, bus drivers and shop clerks. As a result, the federal government struggles to balance budgets, and a yawning gap, between a super-rich 1 percent and the great mass of everybody else, keeps growing. Congressman Keith Ellison, D-Minnesota, wants to do something about that. Ellison is reintroducing his Inclusive Prosperity Act, a proposal to add a small “financial transactions tax” on high-volume, high-speed trading by Wall Street speculators. The tax—similar to one that the US imposed until 1966, and to taxes maintained by 40 countries worldwide—would generate roughly $1 trillion in revenue over 10 years. That’s money that can help to stabilize federal finances and pay for programs that are currently threatened by the proponents of austerity. 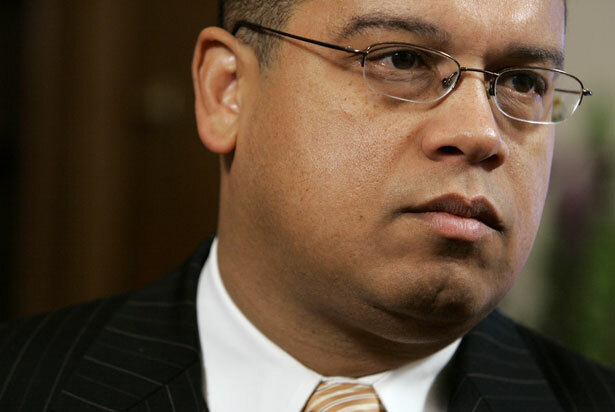 Ellison’s not listening to the lobbyists. He’s facing the facts. "As the Inclusive Prosperity Act demonstrates, there is not actually a scarcity of public funds for global public goods," Friends of the Earth officials explained in endorsing the Robin Hood Tax movement. "It is a question of political will." That will is growing, in the US, and abroad. Eleven European countries—including key US allies and trading partners—are currently in the process of embracing financial transaction tax proposals. There’s a dawning international recognition that the answer to austerity is not merely to defend necessary programs from assaults by billionaire-funded groups such as America’s “Fix the Debt” coalition—and the politicians who defer to the pressure for cuts. It is to find the resources to maintain existing programs and to fund new initiatives. This is something that Americans who seek to establish a genuine safety net for the ailing, the aged and the vulnerable—as well as the whole of society—well understand. That’s why, after Ellison reintroduces his legislation, the Robin Hood Tax Campaign, National Nurses United and other supporters of a financial transactions tax will rally and march in Washington on April 20. Their message is directed not just at Congress but at the Obama administration, which has been slow to embrace international efforts to implement the Robin Hood Tax. Working America, the AFL-CIO's primary non-union offshoot, is launching a 50-state strategy. Read Josh Eidelson's report.